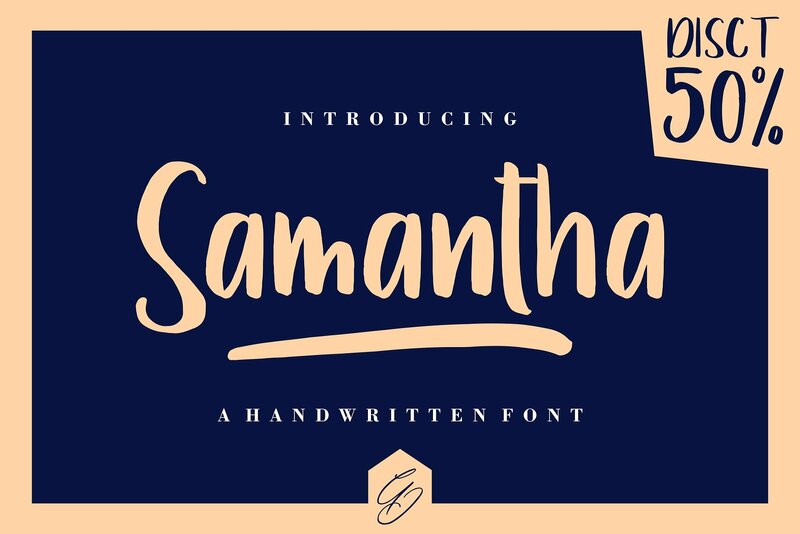 Download Samantha font for free. Samantha is a font / typeface offered for free. please note that if the license offered here is non-commercial you have to obtain a commercial use license / permit from the original author. SAMANTHA is New font brushed very interesting, also provided some font duo and swashes extra. Also with additional Slowly Two, a font slant harmony to be combined with Slowly Two. Perfect for projects brands, logos, product packaging, posters, invitations, greeting cards, news, blogs, everything including personal charm etc. If the Samantha font is offered under 'commercial use free' or 'creative common' license, feel free to use Samantha font for any purpose.